If it weren’t already the case that no other city can hold a candle to Barcelona, it is now: the European city has begun using wireless LED street lamps — made by Spanish energy giant Endesa — that run on timers and motion detectors. LEDs aren’t cheap, but a new study from the University of Pittsburgh found that they offer the best green alternative for cities in a lifecycle analysis. Barcelona expects to see its municipal power bill decline by a third just from the timed LED lights. Streetlights are low-hanging fruit, environmentally speaking. Their design tends to be clunky and they account for a massive chunk of city power bills, even though much of the time their light falls on empty streets. Design improvements and energy savers like motion detectors will also reduce the amount of light that beams skyward, which biologists increasingly say disrupts nocturnal wildlife. Like other fixtures designed to reduce light pollution, the Barcelona street lamps aim their light downward. One more reason to visit. 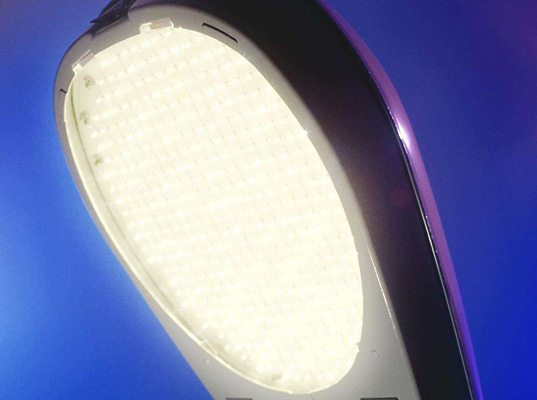 In fact more and more towns are installing LED street lighting. There are several obvious reasons: Up to 50% energy savings vs. HPS and metal halide lamps, which allows them to pay back for the installation cost of the LED street lights in just months. And from that moment the savings obtained with the LED street lights are huge, not only in energy consumption but also in lower maintenance cost and replacements. Furthermore, the LED Lights have a much longer working life. If it weren't already the case that no other city can hold a candle to Barcelona, it is now: the European city has begun using wireless LED street lamps — made by Spanish energy giant Endesa — that run on timers and motion detectors. LEDs aren't cheap, but a new study from the University of Pittsburgh found that they offer the best green alternative for cities in a lifecycle analysis. 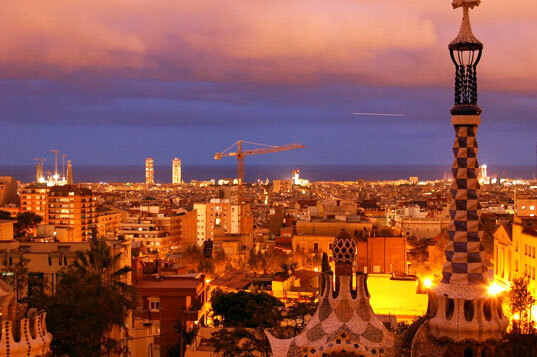 Barcelona expects to see its municipal power bill decline by a third just from the timed LED lights.